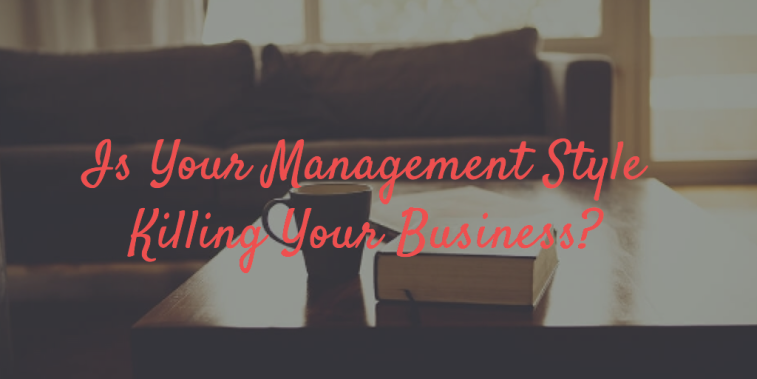 Your management style might be killing your business. Your management style and corporate culture are an important part of your overall strategy and have an enormous impact on your market performance. Yet, management style is a balancing act between control and independence. Looking at most firms, you’ll find an unwieldy bureaucracy where management does the thinking and everyone else follows obediently. Top-down management ensures control, but what do you give up with this management style based on military practice? Sure, innovation happens in a militaristic top-down organization, but it’s slow, poorly managed, and usually results in incremental improvements rather than disruptive, highly profitable new products. At least according to a new book by Salim Ismail: “Exponential Organizations: Why new organizations are ten times better, faster, and cheaper than yours (and what to do about it)”* using the term “permissionless innovation”. Only companies that constantly challenge what they do, challenge themselves to come up with new and different ways of doing things, and also constantly improve on things that they already do will survive in this new globally competitive environment. That’s very, very important. The mantra of the ’80’s was merge to succeed, in the 2000’s it was shrink to succeed, in 2015, it’s innovate to succeed. According to Ismail, a culture and management style that not only accepts failure, but rewards failure resulting in learning. Most top-down management styles reward failure with career-ending consequences — firing, demoting, or relegating failing executives to dead-end jobs. Innovative organizations reward learning; recognizing that the competitor how learns fastest, wins the most. And, failure is the fastest and surest way to learn. Up to 75% of new products fail. The trick is to learn from failures so you don’t do that again. Lean management even coined the term “fail fast” to reflect the notion that markets are the best arbiters of success, so getting products to market fast and letting them succeed or fail there, is preferable to lengthy internal product development processes that often (remember, 75% of new products fail) results in ultimate failure in the marketplace after consuming millions of dollars to develop and market. For instance, Microsoft invested $500 million to market its failed Windows Vista operating system, despite major problems with the product itself. In contrast, Proctor and Gamble, itself no stranger to failure (see Febreze Sensestories), awards the Heroic Failure award each year to honor the employee or team for creating a failure that contributed valuable lessons to avoid future failure. A corporate culture that accepts failure benefits from diminished internal politics and much less in the way of pointing fingers and ‘blame games’ thanks to trust, transparency, and openness. Everybody has good ideas sometimes. A management style accepting openness encourages everyone, including customers, to suggest improvements or entirely new products — products that likely contribute significant profit to a business. leadership’s role is also “to provide a work environment of openness built on trust where every member of the team feels free to express their views/opinions without fear of ridicule or reprisal. Existing top-down management styles lack the openness necessary to spur innovation; instead being mired in institutional politics, sunk cost arguments, incremental thinking, and an “not invented here” bias. Some businesses formalize internal innovation by instituting intrapreneurship programs. Possibly the most famous product developed through intrapreneurship is the Post-It Notes produced by 3M. The glue used in Post-It Notes was rejected within the company due to its low adhesion. But, this characteristic proved valuable for a use-case where temporary adhesion was desired. An employee, Art Fry, recognized the potential of this low-adhesion glue as a means to mark weekly selections in his hymnal without damaging the book. Using 3M’s “sanctioned bootlegging” program, 3M patented and made millions off this little invention. work to produce an MVP (minimum viable product) — a super fast, data-driven experimental approach to creating products that solve consumer problems and likely produce success. Social media and other data sources are filled with unmet consumer needs calling out for a solutions from companies with enough forward-thinking and the right management style to produce products to meet these needs. Some firms truly harness the power of consumers by creating prizes for individuals or teams to solve problems. For instance, Netflix awarded a $1 million prize for coming up with a better recommendation algorithm and companies like the X Prize reward innovators who solve business problems. All these fantastic innovation strategies are impossible with a top-down management style. Increasingly, firms use a management style involving management of a diverse, interdisciplinary team or independent agents brought together to solve problems rather than managing within classic functional silos with employees who could be ordered around. Current management conditions imply an independence between the organization and the individual that wasn’t part of the classic management style that envisioned employees as beholding to the largess of the corporation. Now, the manager relies on other team members to be experts in areas over which he/ she might have little expertise. This precludes a top-down management style implying the manager knows exactly what must be done to achieve success and merely orders subordinates to perform predefined tasks. Self-managed teams now must not only achieve cohesion, but determine the best course of action to achieve organizational goals, set metrics to evaluate their own performance, and self-organize, which requires individuals whose goals align with that of the organization and have an emotional investment in the organizations success, not simply a need to comply with orders. They put their hearts into their work, not just their brains. They’re competitive and committed to success. They set the bar high, knowing that it’s OK to miss some goals, as long as they’re challenged. This article was syndicated from Business 2 Community: Is Your Management Style Killing Your Business?